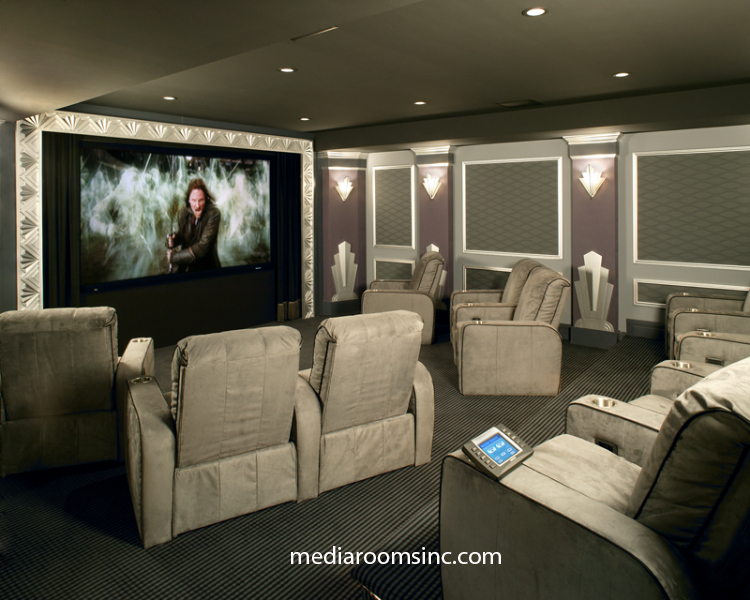 The client wanted an elegant movie palace style home theater with Art Deco design influences. The drywall was in place before we started the theater project, so we needed to design the theater within the given space parameters. Our goal was to not have any audio video components (including the projector) visible in the room. 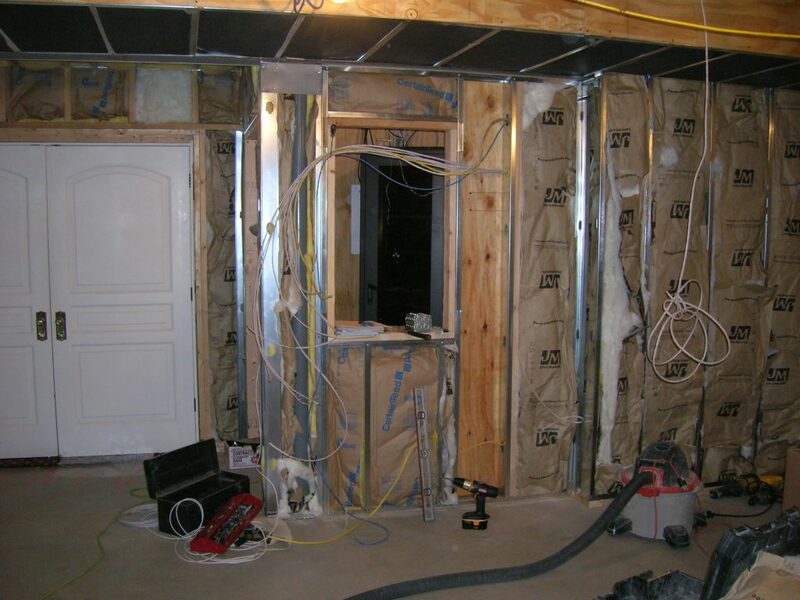 Since the drywall was in place we had very little flexibility to locate equipment and run wire. 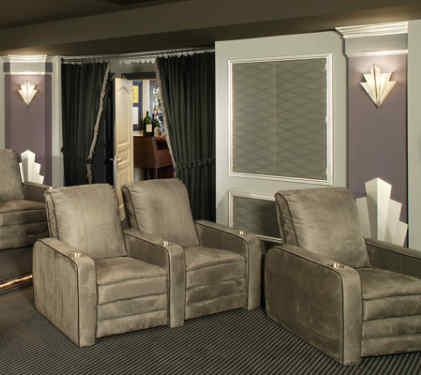 In addition to the audio and video system, we designed and fabricated (in-house) all of the acoustical wall panels, custom columns, wood millwork, proscenium and inset (in-wall) projector enclosure. 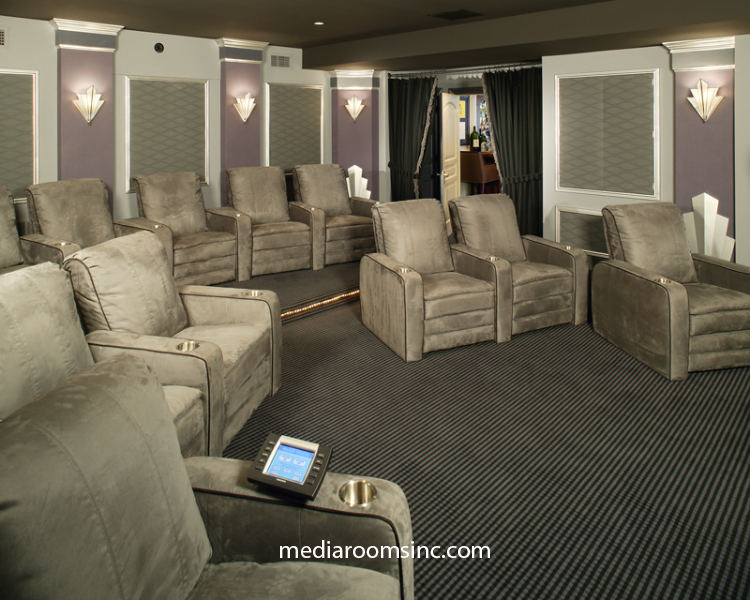 In the rear of the room, we created a space to locate the projector, outside of the room, in a mechanical closet. By changing the standard lens to a long throw lens, we were able to totally hide the projector from sight. 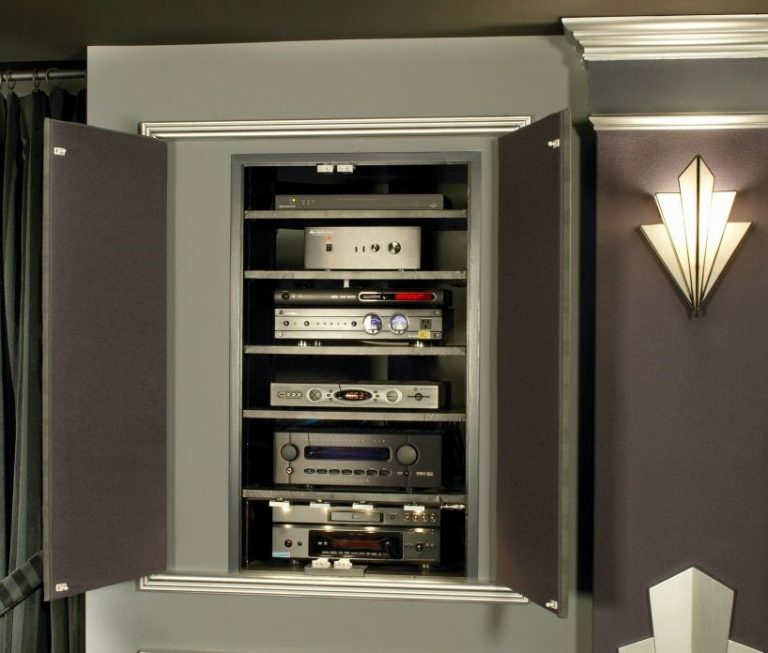 The processing and source components are in an in-wall cabinet, which was fabricated in a closet space and concealed by two acoustical panel doors. Copyright © 2018 Media Rooms Inc. All Rights Reserved. West Chester, PA (610) 719-8500.